B.3 BAA Course: History of Sports 12: Application to Board via Committee for approval – not really history OF sports, but “History Through a Sports Lens”. Fascinating course. Pp 7-15 agenda. Developed by Kate Baker, teacher, Oak Bay High School. Recommended (by senior staff): That the Board approve the BAA course History Through Sport 12. / Carried. Unanimous committee vote. That the Board approve the Advocacy Ad Hoc Committee TOR. / Carried as amended: unanimous. Recommended motion (by the Committee): That the Board direct the Superintendent to conduct an internal needs assessment of SD61 facilities accessibility infrastructure including ramps, lifts, automatic doors, elevators, wheelchair accessible washrooms, etc with the intent of developing an Accessibility Strategy for District Facilities. / Carried. Unanimous. i.That the Board approve Policy 1240 Volunteers in Schools and receive Regulation 1240 Volunteers in Schools as revised. / Carried. Unanimous. ii. That the Board approve Policy 2211 Selection, Appointment, Assignment, Evaluation, Transfer, and Duties of Principals and Policy 2213 Selection, Appointment, Assignment, Evaluation, Transfer and Duties of Vice-Principals as reviewed without revisions and receive Regulation 2211 Selection, Appointment, Assignment, Evaluation, Transfer, and Duties of Principals and Regulation 2213 Selection, Appointment, Assignment and Professional Learning , Evaluation, Transfer and Duties of Vice-Principals as revised./ Carried. Unanimous. iv. That the Board direct the Chair to write to the Minister of Education and copy BCSTA to request the funding formula review sent to Board Chairs be sent to all Trustees./ Carried as amended below.Unanimous. b) McNally: That the Board request that the BCSTA call on the Provincial Ministry of Education to develop standards of practice for education assistants in BC, in consultation with the BCTF and CUPE BC. / Carried as amended below. Unanimous. / Amendment: Orcherton: Amendment: Strike “BCTF”. / Carried. Unanimous. Present: Ferris (elected 1999), McNally (elected 2011), Nohr, Orcherton (elected 1999), Paynter (elected 2014), Watters (elected 2014), Whiteaker (elected 2014) . C.7 i. Watters: That the Board call on the BCSTA to urge the Ministry of Education to embed consent as a key concept in the K-12 curriculum. / Carried. Unanimous. B. 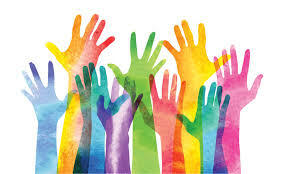 Equity Committee Update: Recommended [by senior administration] motion: That the Board direct the Superintendent to work with the Policy Sub-Committee to develop a Policy and Regulation on Equity for the Board’s consideration. / Carried. Unanimous. C. McNally : That the Board direct the Superintendent to cost the provisions for lunch supervision and bring to the Board as presented in the February report, and return to OPPs for further consideration. / Carried. Unanimous. D. Amended School Calendar: Recommended motion (senior administration) : That the Board approve posting of amended 2018/19 school year calendar on the SD61 website for 1 month. [See p 1 & 2 of agenda for dates.] / Carried.Unanimous. 7. Finance & Legal Affairs: A. Recommended (senior administration) motion: (i) That the Board give all 3 readings of the 2017/18 Amended Annual Budget Bylaw. / Carried. Unanimous. (ii) That the SD61 Amended Annual Budget Bylaw for fiscal 2017-2018 $240,201,341 be read all 3 times , Chair and Secretary Treasurer authorized to execute on behalf of the Board./ Carried. Unanimous. i. That the Board approve in principle revised Policy 1421 Naming School Sites and revised Regulation 1421 and send the drafts Policy and Regulation to stakeholders for comment, to be returned May 2018 Operations policy and Planning Standing Committee. / Carried.Unanimous. iii. That the Board delete Policy 6112 School Day. / Carried.Unanimous. A. Watters: That the Board rescind the following motion carried May 23/17 but never acted on: “Request the Chair to write to Minister of Education,copying other Party leaders, requesting that the Ministry of Education fund CUPE Education Assistants to supervise SD61 K-5 students during lunchtimes in classrooms that rely on students to do this supervision. / Carried. Unanimous. B. Watters: That the Board submit the following motion to the BCSTA 2018 AGM: That the BCSTA investigate the provision of corporate sponsored opportunities for senior staff in BC and provide a report to the 2019 BCSTA regarding the extent of offerings and develop a model policy for addressing the issue. / Carried. Unanimous. Due to illness, I did not attend this meeting. Agenda here. All motions carried, with the exception of my “Animals in Classrooms” motion which was removed from the agenda until a future date, as I was not there to speak to it. A. 3 That the Board approve revised Policy 1250 Trustee School, First Nation, Municipal Liaison. / Carried. embed consent as a key concept in the K-12 curriculum. / Carried. of Mental Health, to work together to develop a Gender-based Violence Prevention Strategy for Youth. / Carried. 1163 – Consultation. / Carried. supervision as presented in the report of the Deputy Superintendent dated February 13, 2018 to be returned to the March 2018 Operations Policy and Planning Committee meeting. / Carried. Annual Budget Bylaw at the meeting of Feb 26, 2018. [Information Pp 36-57 agenda ] / Carried. in the amount of $240,201,341 be: Read a first, second and third time, passed and adopted the 26th day of February, 2018; And that the Chairperson and the Secretary Treasurer be authorized to sign, seal and execute this Bylaw on behalf of the Board. / Carried. ix) That the Board approve revised Policy 7110.1 – Leasing of Closed Schools. (p 72-74) / Carried. xi) That the Board rescind the following motion, which was passed by the SD61 Board on May 23, 2017 but never acted upon: That the Board request the Chair to write a letter to the Minister of Education, copying other Party leaders, requesting that the Ministry of Education fund CUPE Education Assistants to supervise SD61 K-5 students during student lunch times in classrooms that rely on students to do this supervision. / Carried. xii) That the Board submit the following motion at the BCSTA 2018 AGM: THAT the BCSTA investigate the provision of corporate sponsored opportunities for senior staff in B.C. and provide a report to the 2018-19 BCSTA AGM regarding the extent of offerings and develop a model policy for addressing the issue. (p 77) / Carried. xiii) That the Board write to the Premier and Minister of Education requesting that the BC Transit Act be amended to include the appointment of a trustee of one of the School Districts falling within the Capital Regional District as a member of the regional transit commission for the greater Victoria metropolitan area./ Carried. E.2 i. That the Board ) approve the expenditure of up to $250,000 from local capital for the construction of a learning studio at Oaklands Elementary School. ii. That the Board approve the expenditure of up to $250,000 from local capital for the construction of a learning studio at Quadra Elementary School. / Carried. H.1 New Business a) Trustee McNally – Policy for Animal in Schools (Rationale and backgrounder from the BC SPCA, p 84-89): Removed from agenda until a later date. That the Board direct the Policy Sub Committee to develop Policy in regard to animals kept as “classroom pets,” and that the Committee take into account the BC SPCA’s statements on animals in classrooms and the possibility that classroom pets are not desirable at all, in the development of the Policy, and that the Superintendent draft a Regulation to implement the Policy when finalized by the Board. 4. B. 3 Orcherton: That the Board direct the Superintendent to write a Policy on inclusion and return a draft Policy to the Education Policy and Directions Committee at a future meeting. / Carried. Unanimous. 5. D McNally: That the Deputy Superintendent bring back operationalized suggestions for Grades K-5 lunch hour supervision after consultation with stakeholders. / Carried. Unanimous. 5. E 1 Senior Admin: Recommended: That the Board approve granting a right of way to Fortis for the purpose of installing and maintaining a gas pipeline on the Oak Bay High School properties. / That the Bylaw be read all 3 times at this meeting. / All 3 readings. / Carried. Unanimous. Senior Admin: Recommended: a) That the Board direct the Superintendent to work with the 2020 Francophone Games organizing committee to find suitable accommodations and event venue options that would help support the games./ Carried. Unanimous. 5. E 2 b) That the Board direct staff to return with a detailed facilities use proposal including financial analysis for Board review and approval prior to making a final commitment for the use of District facilities in support of the 2020 Francophone Games in Victoria ./ Carried.Unanimous. i. That the Board endorse the Bowker Creek Blueprint./ Carried.Unanimous. iv. That the Board give all 3 readings of the Real Property Bylaw[related to the Fortis motion] at this meeting. / Carried. Unanimous. b. Ferris: That the Board support in principle working with the North American Indigenous Games to house participants in our schools and direct the Superintendent to work with the organizers on how students may be housed in our facilities on a cost recovery basis. // Loring-Kuhanga: Amendment: Add “2020”./ Carried./ Main motion carried as amended. i. That the Board give all 3 readings at this meeting. ii. The 3 readings, and that the Chair and Secretary-Treasurer be authorized to sign, seal and execute this Bylaw on behalf of the board./ Carried. Unanimous. C. Greater Victoria Foundation For Learning (Pp 37-63 agenda – p 47 on are the old Bylaws.) Associate Superintendent Kitchen: Board passed motion to develop revised Bylaws in November. Old Bylaws and new attached. Focus is on projects not usually funded. Current Board Deputy Superintendent Green, Secretary-Treasurer Walsh, Trustees Ferris and Leonard. D. Policy 1300 Acceptable use of Digital Technology, Regulation 1300.2 Employee Acceptable use of Digital Technology, Regulation 1300.3 Student Acceptable Use of Digital Technology: Recommended motion (recommended by Director of Information Technology: That the Board approve Policy 1300 Acceptable Use of Digital Technology as revised and receive the revised Regulation 1300.2 (renumbered from Regulation 4216.2) Employee Acceptable Use of Digital Technology, revised Regulation 1300.3 (renumbered from Regulation 5131.9) Student Acceptable Use of Digital Technology, and deleted Regulation 5131.9(a) Student Acceptable Use of Electronic Communications Systems in Schools Attachment as reviewed. / Carried. Unanimous. Recommended motion (by Secretary-Treasurer): That the Board direct the Superintendent to negotiate partnerships with Childcare providers to apply for funding from the Ministry of Children and Families to build purpose built space on our sites with a space guarantee for 10 years less a day. / Carried. Unanimous. i. That the Board direct the Superintendent to create a report on the feasibility of the Lambrick Park Fieldhouse project and return the findings back to the Operations Policy and Planning Committee upon completion. iv. Give all 3 readings of Bylaw 9360 General Meeting of the Board./ Carried. Unanimous. Nohr: Suggest add to Regulation “personal safety as addressed in device manuals and personal safety in internet space“. (p 130) / Unanimous support. ix. Empower Superintendent to negotiate partnerships with childcare providers to apply for funding from Minister of Children & Families to build purpose built space on our sites with a space guarantee for 10 years less a day./ Carried. Unanimous. b. Capital Bylaw (P 162-163 lists projects at Shoreline & Mt Doug) /Carried. Unanimous.// Read 3 times. / Carried. Unanimous. C.4 Inclusion for Learning Strategy: (slides Pp 17-27 agenda) Sean McCartney, District Principal, Inclusive Learning : Recommended motion : (Motions carried at a Standing Committee must go to the full Board meeting to be ratified by vote of the 9 member Board) That the Board support the Inclusion For Learning Strategy./ Carried.Unanimous. C.6 Orcherton: That the Board prepare and conduct an exit interview with our current retiring Superintendent and further, that the Board, with the assistance of the Deputy Superintendent, develop a policy on exit interviews for future Superintendents. senior administrator staff. / Carried. Unanimous. Whiteaker: Amendment: Strike “for future Superintendents”, add “senior administration staff”. McNally: The Superintendent is the Board’s only employee so the Board will not be doing exit interviews for anyone else. Against the amendment. Superintendent: Will be doing exit interview with Facilities Director but won’t be the Board doing that. C.7 McNally: That the Board direct the Superintendent to provide information for the SD61 Board on the specifics of the planned implementation of the new proposed funding model, including provision of all implications of the model for specific practice in the classroom and schools, and provide pro and con analyses fr stakeholder groups in Alberta (specifically the ATA Blue Ribbon Panel Report) and other applicable jurisdictions in Canada , for an early June 2018 Board meeting./ Withdrawn and replaced with a motion from the floor, below. McNally: Permission of the meeting to withdraw [given] and replace with a motion Trustee Orcherton suggested in discussion as being simpler: That the Board direct the Chair to write the Minister of Finance and the Minister of Education , copy the Expert Panel on the Funding Model, urging that any change to the Education Funding Model be considered no earlier than March 2020. / Permission given from the meeting so this is the motion on the floor. [Based on Resolution #47 from SD57 Prince George, carried at the BCSTA AGM. Delta’s Resolution 46 requesting additional consultation also carried.] Motion also withdrawn after debate below. Will come back with different wording. C. Vic High Consultation Update (Pp 12-13 agenda): Recommended motion [recommended by Superintendent]: That the Board direct the Superintendent to provide a detailed report tot he June Operations Policy and Planning Committee for two options for Vic High that preserve the current building. First, a seismic upgrade with internal improvements (“Seismic Plan”). Second, a seismic upgrade with internal improvements, additional capacity and a Neighbourhood Learning Centre (“Seismic Plus With Capacity”). / Carried. Unanimous. C. That the Board approve Policy 110 Equity and accept Regulation 110 Equity as presented./ Carried. Unanimous. D. That the Board approve spending $875,700 of Local Capital to implement the Inclusion for Learning strategy./ Carried. Unanimous. E. That the Board send the “An Independent Audit of Executive Expenses at SD61” report to the Audit Committee for further review. / Carried. Unanimous. McNally: Amendment: Add to #2 “Children in Care”, “Youth in Youth Agreements”. The young people have wound up in Ministry care, and are to a great extent on their own, often in substandard living accommodation, surrounded by adults. This is a stressful and very difficult situation for youth to be in, and youth did not get to this point without prior major stressors. We have seen some poor outcomes, even death. / Amendment carried. Unanimous. Board agreement to add “Mental Health Literacy and Wellness as #4. In Committee meeting, private school funding wound up off the list, with primary focus of the committee directed to Items #2 and #3.
i.Board explore French Immersion opportunities at Craigflower Elementary and Shoreline Middle School. / Carried. Unanimous. ii. Board support Inclusion For Learning Strategy [$875,700 of local capital to implement – P32 agenda]. / Carried. Unanimous. iii. Board prepare and conduct exit interview with current retiring Superintendent and with the assistance of Deputy Superintendent, develop a policy on exit interviews for senior administrative staff. / Carried. Unanimous. i. Board direct Superintendence to provide detailed report to June Operations Policy and Planning Committee for two options on Vic High that preserve the current building: 1. seismic upgrade with internal improvements (Seismic Plus) 2. seismic upgrade with Neighbourhood Learning Centre (Seismic Plus with Capacity). / Carried. Unanimous. iv.Board approve Policy 110 Equity and accept Regulation 110. / Carried. Unanimous. v. Board approve spending $875,700 from Local Capital to implement Inclusion for Learning Strategy. / Carried. Unanimous. i. Board approve Audit Planning Report for 2017-18 as presented by KPMG to the Audit Committee. / Carried. Unanimous. ii. Board accept March 2018 Quarterly Financial Report a presented to the Audit Committee./ Carried. Unanimous. ii. Board direct Superintendent to prepare a Joint Use Agreement between SD61 and Jeux Francophonie Canadienne for approval by the Chairperson of the Board and the Superintendent. / Carried.Unanimous. a) McNally: That the Board eliminate specific municipal committee assignments and that trustees inform the Board as to which committees related to municipal assignment that they will attend and report on, as of September 2018./ Referred to June Operations Planning and Policy meeting. Watters: Table [Refer] to June Operations Policy and Planning. / Carried. b) Watters: Board direct the Chair to appoint a Trustee to participate on the Esquimalt High School Community Track and Sport Field Upgrades Working Group and to provide regular updates to the Board. / Carried. Unanimous. c) Watters: Board direct Chair to write a letter in support of Victoria Sexual Assault Centre: Project Respect: Preventing Dating Violence by SHIFTing Culture funding application to the Public Health Agency of Canada. / Carried. Unanimous. McNally: We want a steering committee to design a review process. “Complex” and “incomprehensible” are not the same. Ferris: Fundamentally against putting something like this in a motion , telling people what to do. People have day jobs and they have more to do than this. McNally: These are presentations from District staff. Preparing presentations is part of is their day jobs. Not referring to presentations for the public. Though that would be helpful, as well. McNally: Motion to amend: Add one point before sending to stakeholders, point 6 from the BCSPCA’s “Conditions” document [in post]. Very much appreciate the work of the Policy Committee [Nohr and Whiteaker, April – June] on the new draft Policy and Regulation, and see that much of the BCSPCA’s recommended policy and requirements in their Appendix A [below] have been incorporated. However, one point isn’t in the policy, and that is the removal of the animal during emergency drills. If we are teaching compassion, that will not be the lesson children learn when they realize that the classroom pet will be left behind. This will be very upsetting to at least some children./ Amendment carried. Leonard: Don’t like the wording.Alternate motion if this one is withdrawn: That the Board review municipal assignments in the light of the newly created liaison positions to municipalities, before new Trustee assignments are made./ Carried. Unanimous. B. Whiteaker: That the Board offer bussing on a cost-recovery basis to those families with a Special Education student currently enrolled in an out of catchment school for the upcoming school year./ Withdrawn. D.1 b. Recommended motion [Carried at Ed Policy meeting]: That the Board endorse mental health literacy and mental wellness as a priority area of focus for the Advocacy Ad Hoc Committee and task that committee with developing an action plan to be brought back to a future Education Policy and Directions Committee. / Carried. Unanimous. McNally: Appreciation to Policy Committee Trustees Nohr and Whiteaker. The Policy is a major positive update from the previous bare bones Regulation which was not even associated with a Policy. It is with the amendment to remove the classroom pets in an emergency drill or real emergency, congruent with the BC SPCA’s Appendix A Conditions for the Keeping of Classroom Pets and creates an environment in schools that encourages children to learn truly compassionate treatment of animals . This initial Policy is going out to stakeholders for discussion, without the clause requiring animals to be removed in an emergency. This situation provides an excellent opportunity for teachers to talk with students about whether there should even be be a caged “classroom pet” if the animal will be left behind, alone and subject to possible death in a fire or earthquake. Not having a caged animal resident in the classroom does not preclude visits by animals with their humans, which the SPCA encourages in their Humane Education curriculum. The issue is not “students or animals”; the issues are humane education and compassion. D.2 b iv. That the Board review municipal committee assignments in light of the newly created municipal liaison roles, before the next Trustee assignments are made./ Carried. Unanimous. E.1 b) Vic High Seismic Upgrade Recommendations: That the Board direct the Superintendent to submit to the Ministry of Education as the preferred option for Vic High, the Seismic Plus Enhancements (1000) Plus Neighbourhood Learning Centre, contingent on receiving full funding from the Ministry. / Carried. Unanimous. d) That the Board make available to the public via District website the schedules of fees approved by Parent Advisory Council for the school where the Board proposes to offer a specialty academy./ Carried. Unanimous. e) That the Board approve the 2018/19 Board of Education and Standing Committee meeting dates./ Carried. Unanimous. McNally: “School districts or independent schools develop Board/Authority Authorized (BAA) courses to help meet local community needs while providing choice and flexibility for students.” It’s clear that this provision for locally developed courses could be of interest and of use across far flung districts with different urban and rural needs, and different occupational needs. But to focus on different “local communities” in school district 61, and following, to accept that Spectrum High School needs a History of Rock n Roll to meet local needs while that very interesting class does not meet the needs of Students at Vic High or Oak Bay just isn’t the case. The needs of SD61 schools have commonality. BAA courses in a school district provide school shopping opportunities pitting one school against another competing for customers in a market situation and create transportation issues for students. As I’ve voted before on my conviction that what is good for students in one school in SD61 is good for them all, can’t support this. E.2 b) That the Board appoint Joan Axford as Chief Election officer to administer and conduct the school trustee election on October 20/18./ Carried. Unanimous. c) That the Board agree to give all 3 readings to Bylaw 9005 Trustee Elections and By-Elections at this meeting. / Read 3 times by the Chair. / Carried unanimously. Addition of note re “at large” elections, not a ward system in SD61. d) That the Board approve for submission to the Ministry of Education , the 2019/20 SD61 5 Year Capital Plan. / Carried. Unanimous. a) McNally: That the Board direct the Superintendent to implement a protocol to ensure endeavour that District leadership staff presentation slides and / or documents are posted at the same time as the meeting agendas for Standing committees and board meetings. / Carried. Unanimous as amended.